Artichoke designs and makes elegant and tasteful scullery’s. 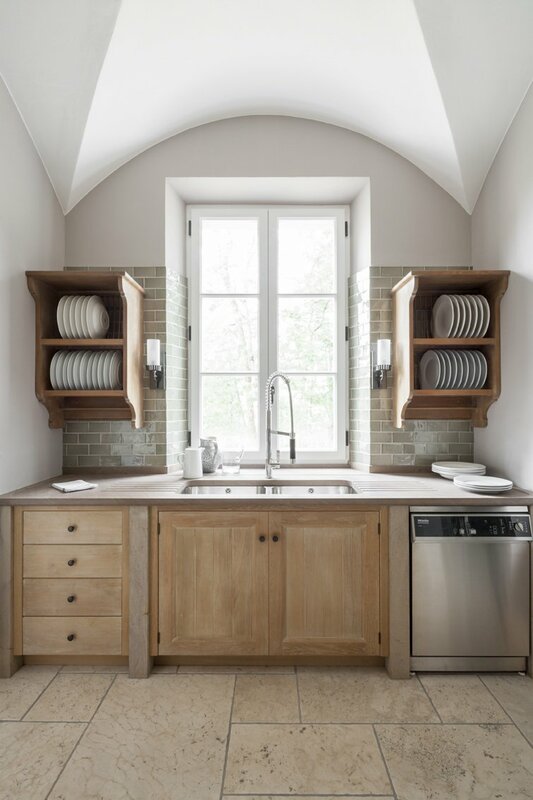 The addition of a scullery removes much of the messy day-to-day tasks away from the main kitchen, allowing kitchen to be a lighter and more elegant space. We believe it is important for our designs to be influenced by historical reference and research. More homeowners are understanding the value of a scullery as a functional extension to their kitchen, and they are becoming increasingly popular in modern homes. 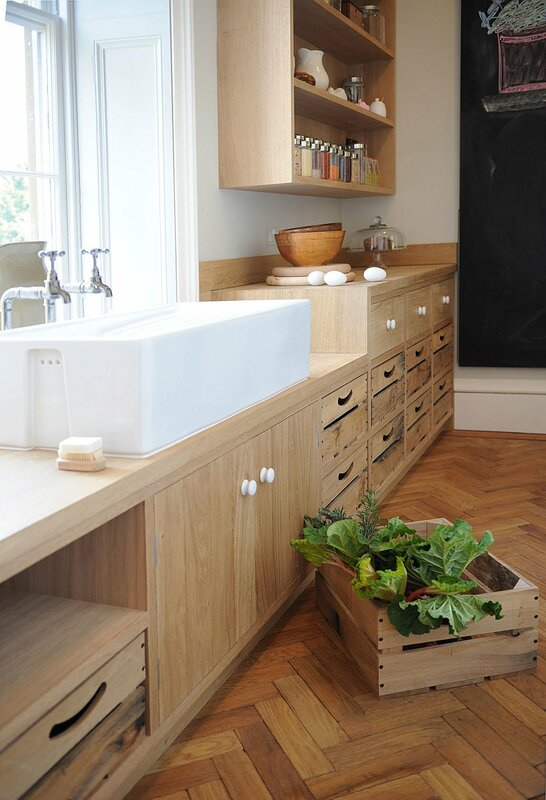 If you are considering having a brand new kitchen designed or feel that a scullery could provide the perfect addition to your property, Artichoke can help you bring it to life. The term ‘scullery’ comes from the Edwardian period, but despite it being an old concept a well-designed scullery has real practical use in the modern day home. They provide the perfect support space which is especially valuable if the dining area is part of the main kitchen. families may use their scullery while entertaining guests or during large family meals, as a place to prepare food and hide the dirty dishes before washing up. Every scullery we design is perfectly suited to the property it is built for – it should feel like a natural extension of your home. We will always take the time to go through the requirements of each client so that we can maximise the use of space and provide you with a remarkable kitchen area for living, cooking and enjoying time with friends and family. Artichoke has been designing exceptional kitchens for more than 25 years – we specialise in beautiful architectural joinery and fitted furniture, taking an individual approach to every project. We design bespoke spaces that are perfect for the individual needs of your home and your family. You can view our portfolio to see more examples of our work, or if you are interested in commissioning Artichoke, you can contact us on 01934 745 270 or email at newprojects@artichoke-ltd.com.